These headlines give us hope that the Olympic Games reflects the best of humanity. When the world comes together for the Games, we see more than a competition, but a powerful metaphor of global unity. Bound by the desire to achieve excellence and sharing in the achievement of the athletes, our desire for individual glory takes a backseat to comradery. 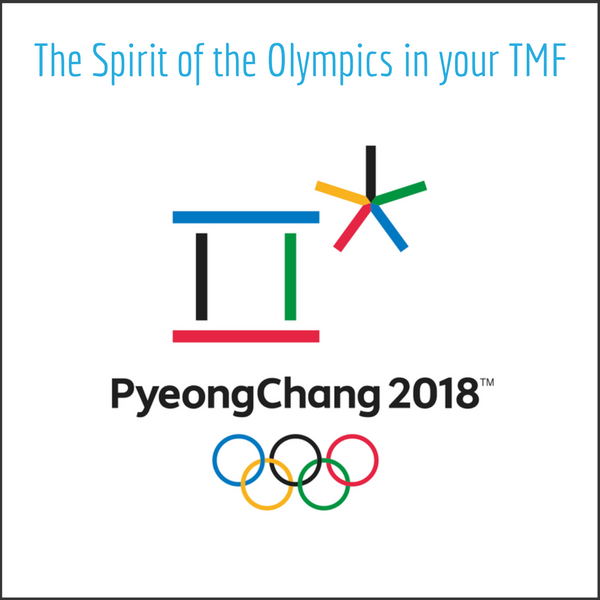 Just as the Olympic Games brings people all over the world together, so too does the TMF. The TMF is the voice of thousands of researchers and millions of patients who unite to conquer disease. As the complexity of research continues to rise, the scope of each trial grows to include a more diverse population than ever before. The potential reach of your TMF is greater than ever, as is the TMF’s potential to change the world for the better. These headlines can cause us to question the spirit of the Games, or even the continued relevance of the Olympics. After all, cyberattacks and threats of nuclear war hardly show shared human spirit. So, this year, more than ever, we must all take time to foster the Olympic spirit in everything we do. Supporting this Olympic spirit means brining PeyongChang to wherever you are. It means using the Games as a powerful tool to unravel the misunderstandings that keep people apart. Focus on The Big Picture: As a TMF leader, you must commit to taking ownership of the TMF. From the start of pre-planning, all stakeholders must be represented and engaged. Strong TMF leadership means evangelizing the importance of the TMF, establishing guidelines and concrete plans, and identifying and controlling risk. Yes, thousands of documents will comprise the TMF, but your TMF victory starts with a handful of meetings, a few accomplished leaders, and one well-designed plan. Everyone Has A Role: Leadership can’t be everywhere at once and micromanagement of the TMF is impossible. Spend as much defining expectations for the team as you do itemizing expected documents. Clearly defined roles prevent both structural problems with the TMF and interrelational problems within your team. The workload feels much lighter when everyone is aware of their individual responsibilities. Commitment to QC: Does your team know the difference between a TMF inventory and TMF Quality Control? Here’s a hint: a list of documents is only a small part of an effective QC system. A QC system is continued verification that expectations (defined in SOPs and those pre-study meetings) are being met. When your team knows that the TMF is more than just a warehouse for documents, they will intrinsically understand that QC is about more than just completing a list. Real QC means critical thinking about the dynamic relationships between the conduct of the trial and the documents in the TMF. As the main deliverable of the trial, the creation and maintenance of the TMF is your team’s main event. 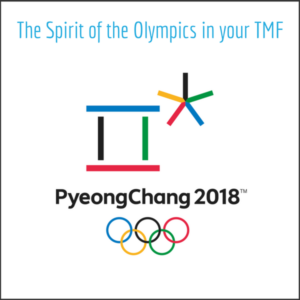 Behind each TMF (and each Olympic medal) hides a story of risk, sacrifice, and hard work. When your team successfully unites behind the TMF, the impact is inspiring – and the results can be truly world changing.